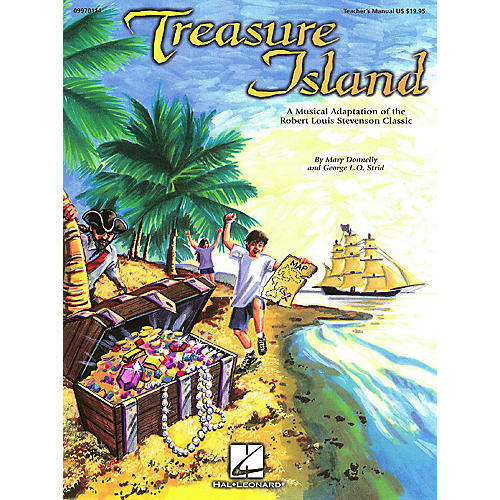 Young Jim Hawkins longs for adventure and finds it in this classic Robert Louis Stevenson tale of pirates, pigaloos and buried treasure. This 55-minute adaptation features an expanded script and eight original songs - ideal for upper elementary and middle school performers who can handle a full-length musical production. The Teacher's Manual includes the accompanied songs, full script and staging guide, while the Singer's Edition includes the script and vocal lines only. The ShowTrax CD includes performance/accompaniment of the musical numbers only. Step back in time and share an adventure with Jim, Billy Bones, Long John Silver and a host of interesting characters! Available: Teacher's Manual, Singer's Edition Pak (5 Books), Preview CD (full performance, songs only), ShowTrax CD (performance and accompaniment, songs only). Performance Time: 55 minutes. For Grades 4-8.